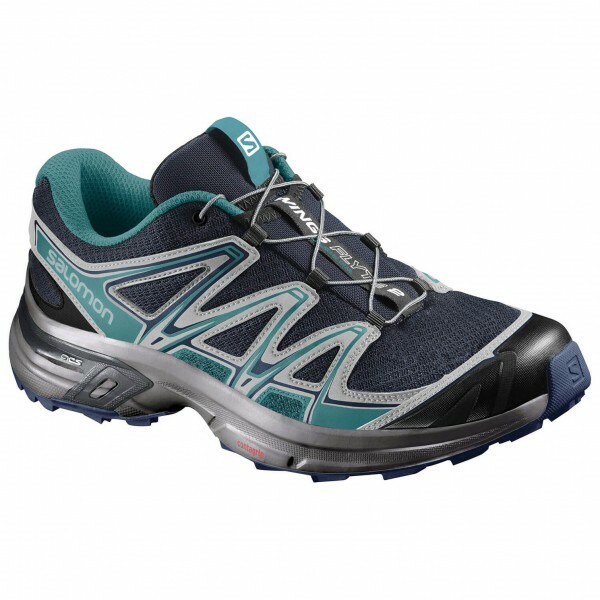 The Women's Wings Flyte 2 trail running shoes from Salomon are perfect for technical trails. After all, that's exactly what they were made for! They'll give you the traction and surefootedness you need on both loose and uneven surfaces. Thanks to the Ortholite insole and the use of 3D Stretch Airmesh, the shoes are breathable and incredibly comfortable. For added protection, the running shoes come complete with a protective toe cap as well. Other great features include a mud guard, a friction-free lace eyelet, a lace pocket and a shrouded tongue. Perfectly equipped for those tough trails - with the Women's Wings Flyte 2 trail running shoes!